In offices across the world, there are currently three generations working side-by-side. As executive assistants are exposed to numerous facets of a business, they will need to collaborate with multigenerational teams. In order to step up as a business leader within a company, it is vital for EAs to understand generational strengths. This is such a burning topic, which is why it is addressed it in discussion format at the Executive Leadership Support Forum. Between those discussions, hearing first-hand from EAs, and extensive research, we’ve put together a guide to help EAs better understand the key characteristics and preferred work styles of each generation. Baby Boomers were born between 1946 and 1964. According to The Six Living Generations In America, they were the first generation to have their own children raised in a two-income household where mom was not omnipresent. Similar to Millennials, generally, they grew up during a prosperous time. As explained by the University of Toronto Press, this is because many grew up in a time of widespread government subsidies in post-war housing and education, and increasing affluence. They are considered the first divorce generation, where it was beginning to be accepted as a tolerable reality. Due to their upbringing, this generation has been defined as optimistic, driven, and team-oriented. Ironically this generation is considered to be not tech savvy, while they were the generation to ultimately kick start the technological era. According to executive assistants at the ELS Forums, Baby Boomers are hardworking, responsible, respectful, patient, tactful, and traditional. Furthermore, individuals in this generation have a strong work-ethic and are extremely loyal to their companies, they exemplify strategic communication and emotional support. What do they wish Gen X (1965-1980) understood about them? Baby Boomers wish Gen X understood that they are team players and work well with others. As stated by Get Smarter, they are competitive and need recognition and rewards to keep them motivated to achieve more. Unlike Gen X, they are more positive about authority, hierarchal structure and tradition. Some other misconceptions include: not tech savvy, rigid, inflexible, don’t ever want to rock the boat, incompetent, and not current. What do they wish Millennials (1981-2000) understood about them? According to Get Smarter, Baby Boomers have a structure for discipline and are less inclined to welcome change, but that doesn’t mean they aren’t open to change. They wish that Millennials understood that while they might not be as tech savvy, they are more than willing to learn when given patience and opportunity. Lastly they want Millennials to know they are not obsolete and are just as team-oriented. Members of Gen X were born between 1965 and 1980. As presented by The Six Living Generations in America, this generation was coined the “latch-key kids” and grew up in homes of divorced or career driven parents due to the increase of maternal workforce. Street-smart but isolated, Gen X grew up to be entrepreneurial and individualistic. This generation has a higher divorce rate than Baby Boomers. They are incredibly self-reliant and independent in their work. According to Get Smarter, Gen X is committed to finding the perfect amount of work-life balance. They want to have a job while also spending time with friends and family. This generation is able to blend their personal and professional lives together without becoming workaholics. This generation is less inclined to say something if they disagree with management than their successive generations. Individuals in this generation give importance to quickness of task completion over perfection. Gen Xers are more likely to want to work solo and can be trusted to do what they said they’d do. 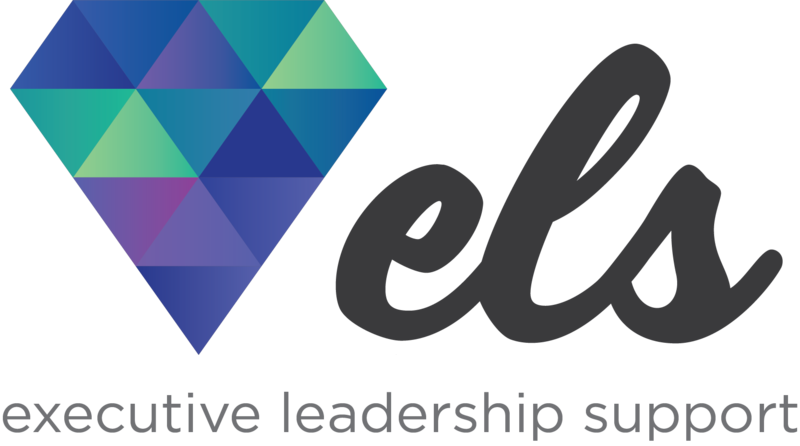 Executive assistants at the ELS Forums assigned the following attributes to this generation: independent, innovative, rule breakers, resourceful, patient, flexible, positive, creative, problem solvers and networkers. What do they wish Baby Boomers understood about them? They wish Baby Boomers knew that work-life balance is important to them as well as company culture. They aren’t as impressed by authority because of their independent upbringing and enjoy working on projects alone. They might not be reaching for a management position, but that doesn’t mean they aren’t committed to their work. They might not favor working overtime, but that’s because they value completion over perfection. They have found a way to balance their lives without being workaholics, but want Baby Boomers to know, they are still committed to getting the job done. What do they wish Millennials understood about them? Gen X was born during a transitional phase into the digital era. Many grew up without computers, but ended their education with computers. They wish Millennials recognized that they are digitally savvy, and are open to learning new technologies. Misunderstandings about Gen X include: not team-players, seen as not tech savvy, workaholics, spoiled, impatient, verbal, and perfectionists. Millennials were born between 1981 and 2000. Except for those on the early end of the spectrum, most have never experienced a life without computers. According to The Multigenerational Workplace, “Millennials believe that they are able to do it all. With parents picking up milk cartons featuring missing children’s faces, this generation was forced into scheduled clubs, groups, teams, activities, and lessons.” Because of that, they tend to respect authority more than Gen X. In addition, because of their busy schedules, often juggling multiple activities, they schedule everything. They feel enormous academic pressure and are natural entrepreneurs. Executive assistants at the ELS Forums assigned the following attributes to this generation: tech savvy, impatient, forward thinkers, know how to have fun, resourceful, passionate, adaptable, self-advocates, connected, independent, flexible and mobile. Millennials aren’t afraid to talk about money. Millennials ask why in order to change processes. Just like Baby Boomers, Millennials are also team-oriented! Because of their involved upbringing, they work best in a collaborative team setting. They prefer a more relaxed work environment with a lot of hand holding and accolades. Millennials thrive best with a collaborative approach to strategic problem solving. Due to the technology and information they have accessible at their fingertips, they have very strong views. Tying into that, they are impatient with career growth. Similar to Baby Boomers, they respect authority and structure in their workplace. According to The Multigenerational Workplace, “With the globalized economy and instant communications that connect people around the world, they view the world in the same way that Boomers once may have viewed the nation—a bit large, but easily navigable.” Misunderstandings of this generation include: disrupters, not loyal, arrogant with no manners, entitled, self-absorbed, lack of social skills, rigid, and need for validation. What do they wish Gen X understood about them? Unlike Gen X, Millennials prefer supervision and constant check-ins to ensure they are doing things correctly. Similar to Gen X, they don’t have a strong sense of company loyalty and feel their companies should be ethically and socially responsible. Both Gen X and Millennials are technologically savvy. Similar to Gen X, Millennials care about work-life balance, too. They tend to put the greater good ahead of individual achievement. They work best while receiving valued feedback and praise. Due to their upbringing, there is a lot of pressure to be the best. Millennials tend to focus on the present moment, while Gen X tends to focus on the future. In order to be a business leader within your organization, it’s crucial to understand how to relate and communicate with multi-generational teams. Now you have the groundwork to put your right-foot forward. We urge you to continue the conversation within your office. Ask questions to better understand one another. The more open-minded you become with your multi-generational team, the more effective of a leader you will be. Looking to learn more about strategies on working and communicating effectively across generations? Join the conversation at the Executive Leadership Support Forum. Click here to find a forum near you!